The white part of your eyes is known as sclera. It is a wet, dense and slippery ball of muscle-fiber, which normally appears to be white. This sclera plays a vital role in non-verbal communication. It also changes color and form when a person is sick, and is the first of the noticeable symptoms of illness. A red tinge in the eye can indicate lack of sleep or an infection. A yellowish tinge may signify a disease such as hepatitis and low hemoglobin in the blood. 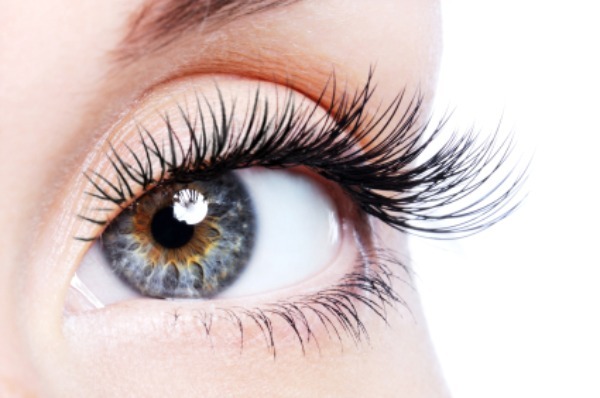 Everyone desires to have bright, white and enthralling eyes. This is not something very difficult to achieve as the white of the eyes can be made brighter and whiter to appear fresh, healthy and beautiful by just a few simple tips. If the eyes are bright and shiny, they radiate energy, beauty and vibrancy. People are automatically attracted towards you and captivated by the eyes. However, if the eyes appear dull, tired and discolored, they project a feeling of lethargy, apathy and disdain. The following tips can help to make your eyes whiter. For women, makeup always, in the end, comes to the rescue. Makeup, if used effectively, can be a remarkable way to disguise the paleness and yellowness of eyes. Here are a few secret tips that will come in handy if you wish to highlight the beauty and brightness of your eyes. Use blue eyeliner or mascara. Applying a thick blue layer of mascara on the lashes can be helpful. Be it a royal blue or a sharp electric blue, the color automatically reflects in the eye and camouflages the yellow to make it appear more whitish.If you apply a blue shade of eyeliner or eye-pencil to the inner rim of your eyes, it can trick people into seeing your eyes as much brighter, glowing and whiter than they actually are. Use a peach pencil to line the inner rims of your eyes and try dab shimmery white shadow in the inner corners to reflect and bring out the white of your eyes. Lack of proper sleep is the main culprit behind the eyes looking tired, red and puffy. A proper night’s sleep is the biggest secret to making your eyes appear fresh and bright. By proper sleep, we mean a good night’s rest, not napping for short durations at intervals. Lack of sleep will probably make you more cranky and irritated. It will, apart from making the eyes appear red and swollen, also lead to the formation of dark circles under the eyes which steal away your beauty. The amount of sleep required to lead a healthy and active life may vary from one individual to the other, but an average adult requires 6 to 8 hours of proper sleep. Another handy tip to make eyes whiter is sleeping straight on the back instead of sleeping sideways and with the neck a bit elevated. Yellowish eyes may usually indicate a defect of the liver and diseases such as hepatitis. Pale eyes indicate anemia. Sugary foods and meals high in fats should be avoided as they cause liver damage. Fresh fruits and vegetables should be consumed and water intake should be increased to improve health and fitness. Alcohol and carbohydrate rich drinks trouble the liver, so does coffee and beverages high in caffeine. Prefer boiled and steamed meals to fried ones and decrease the consumption of spices and salts. When Should You Worry about Eye Color? The tips mentioned above can help you in the quest of beautifying your eyes and making them appear white and fresh but they are only helpful to a certain extent. These tips can be used in cases when eye redness or yellowness or puffiness is temporary and passing due to some unserious causes. However, in cases where the sclera changes color and shape due to some serious medical or physical condition, these tips are not a solution and a doctor should be immediately consulted to cure the cause. Take, for example, jaundice, which is a medical condition wherein there is an exceptional increase in the levels of bilirubin in the body. This bilirubin is what gives your urine and feces their yellow color. When bilirubin, a by-product of dead red blood cells, is present in excess volume inside the body, it causes a ‘yellowing’ of the skin and other external body parts. The sclera turning pale-yellow is one of the symptoms of jaundice. Jaundice is a serious ailment and should be immediately treated. When faced with such a significant change in the color of your sclera, forget all home remedies and get yourself checked by a doctor. Always Feeling Something in Eye: Why and What to Do?